Key Information on why you should Learn Music - get insight on the benefits to young minds. Does Music help foster Creativity? 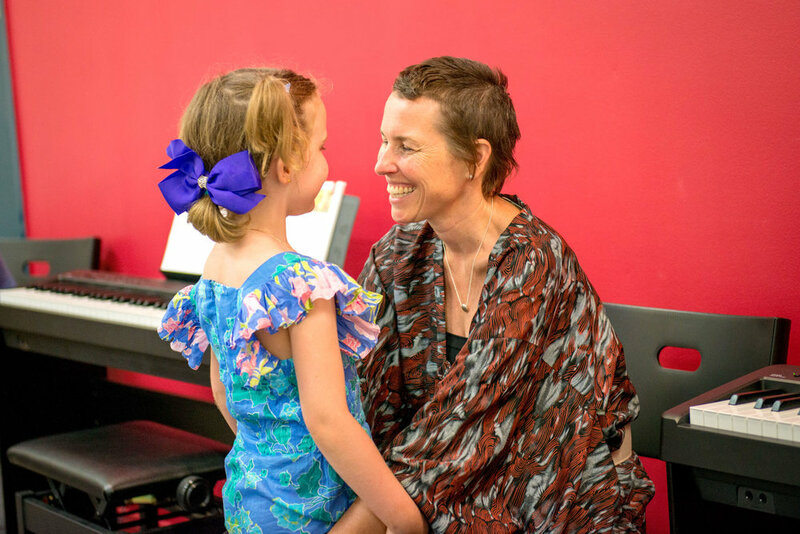 Music connections at different ages can work as teaching tools, typically enhancing retention as well. You may have seen many teenagers completing their homework or memorizing their notes swiftly with music playing in their ears. Creativity isn’t the realm of just a few people but it's something that is present in every person. If you look at brain scans of professional musicians when they are improvising and when they are playing already composed music, a distinct difference is observed in both modes. In the Journal of Consumer Research, a study in 2012 revealed that background noise is an important component of an ideal work environment. It is also found that some level of ambient noise helps the creative process while only high levels of noise can harm creativity. This is reason enough to introduce ambient musical noise levels to children to foster creativity. Music is an effective medium to help develop a child's character and impart social learning. Enrolling them in music classes at an early age can help them become more aware of their surroundings and develop essential life skills. You want your child to excel in every sphere so that they can face the challenges in life head on. A child starts absorbing and learning new things from the moment he/she enters this world. The more you can help enhance the child's learning process, the better they adapt and develop their skills. Music, it has been found, helps brain development in early childhood. The left and right hemispheres in our brain affect how we learn and function. A study in the Journal of Neuroscience revealed that learning music in the early life stages affects and strengthens the connection of nerve fibers that connect both hemispheres. Since it is the control and communication hub between the different regions of the brain, a stronger connection means faster communication, leading to enhanced cognitive abilities. Learning music is a multi-sensory experience. Children who learn music have to be engaged at different levels to understand the notes, differentiate the sounds, and play the instruments. In essence, it allows musicians to better integrate sensory information from hearing, sight and touch. Numerous research studies have been conducted on the subject, the general consensus being that those who undergo musical training have greater ability to process information from multiple senses at the same time. In a study in Northwestern University enhanced stimulation of brain changes was also seen in children who actively participate in music class and create meaningful engagement. Enrolling infants in music lessons is not only beneficial for their later life but it also helps them in their current stage of development. Research conducted at the Center for Music Learning at University of Texas, Austin revealed that seven-month-old infants could differentiate between timbre and melody. 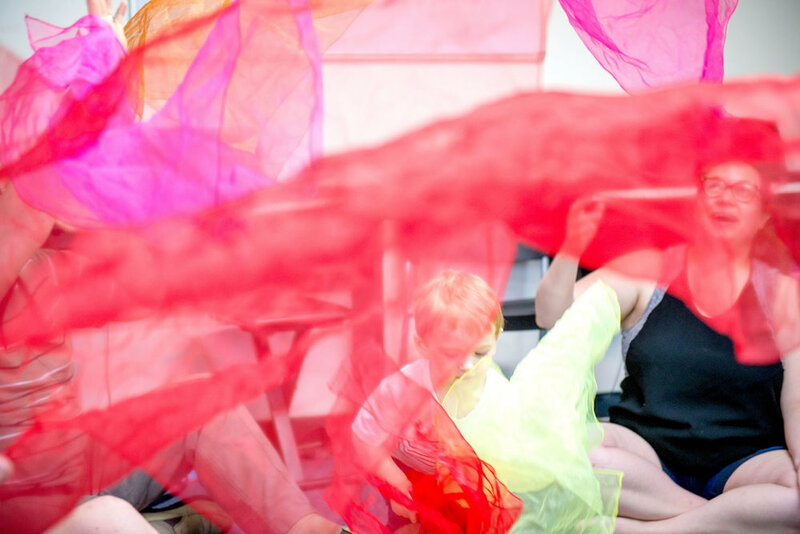 The ideal way to language development is through singing and by exploring words and rhymes following similar tunes; the memory of infants can be enhanced. An infant's brain cells require sensory input to build and connect, as it's not developed at the time of birth. Music acts as an auditory stimulation that helps aid language and other skills as well. Music is not only soothing to the ears but it aids the child in a number of ways, which later in life, help them to cope with the growing nature of demands. With improved cognition, memory, and motor skills, children learn to differentiate and develop enhanced sensory inputs, helping them perform better. It's no less than a fact that we tend to remember musical lyrics long after we have stopped listening to the song. Often we find ourselves humming the lyrics of a long forgotten song or even our favorite childhood poem because music tends to trigger parts of our brain and emotions that resonate with us. 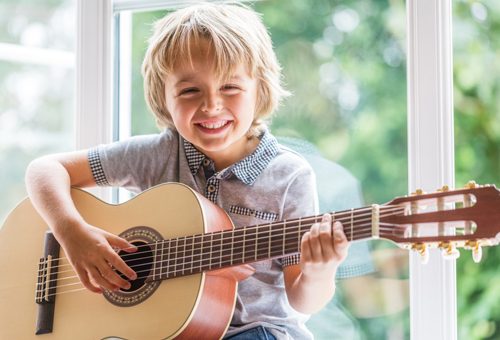 So can music help enhance your child's emotional responses and character development? Music is a great way to transfer learning and it helps retain information. Children are affected by what they listen to in the musical lyrics and this can be used to teach them positive social etiquettes or help them refrain from negative behaviours. Consider the fact how your brain is affected after listening to powerful vocals or lyrics? Don’t you feel energized and pumped up? The national anthem is a good example to quote here that whenever it is played, it instils a sense of belongingness and responsibility of people towards their country. An expert on children's music, Don Mannis* says that music affects emotions and creativity positively. When people sing together it helps them feel more connected and synchronized. Most of us experience emotional triggers by listening to a certain song or melody. It sparks long forgotten emotions in us and the same concept of emotional triggers can be applied in children to help develop stronger emotional responses. It also studies the effects of listening to sad music with and without lyrics. Music writing, learning, speaking, and acting are all the ways, which can be used to help children learn positive things. Powerful lyrics reflecting honesty, respect and responsibility can help induce these concepts in kid's learning and because these have been identified through tunes, chances are children will remember them long after they have grown up. Music is a fun and engaging activity, which every child likes to engage in. It is a healthy way to impart social learning in children by utilizing all sources of positive learning. It can be used to develop a child's character and help them develop emotionally. We know that musical writing is often regarded as a reflection of inner feelings and thoughts. Often these aren’t as apparent in behavior but encouraging children to make up lyrics for a song or poem can help understand their inner feelings and consequently allow teachers and parents to help the child overcome them effectively. Pain is unavoidable but much of it that we experience is self-inflicted. We love to stay indulged in our miseries whereas if we were to divert our mind away from it, we would soon be able to overcome it. However, pain after a surgery can be excruciating and children are all the more sensitive. Music can help ease the intensity of pain especially in geriatric care or palliative medicine. Exercise is essential to staying fit and children in their teens are only discovering the different exercise routines to build muscle and develop a healthy exercise routine. Listening to music can help them amplify their training performance by helping to boost motivation and enhancing endurance. Research2 suggests that the right tempo in the gym can help build stamina and energy efficiency. A good night's quality sleep has been linked with better performance and alertness in students. Research1 indicates that listening to classical musical can help treat insomnia. The participants of the research were college going students, indicating that instead of resorting to medicines to help your child sleep you must first try music therapy. Our mood is significantly affected by the kind of music that we listen to. Recall the time when you felt sad and listened to a jolly tune, didn’t it lift your mood up instantly? Music helps people feel better and get in touch with their feelings according to a 2013 research study. Massage helps relieve anxiety by pressing the body's essential pressure points, which release chemicals to the brain that help us relax. It has been found that music has similar effects on anxiety as well. In the teenage years, children may feel anxious due to the increasing responsibilities and work load in school and one way you can help your child relax is by getting them to listen to music or enrolling them in a music school. The path to an all round healthy lifestyle depends on what you are exposing yourself to. As parents you must ensure that your child is getting all the right resources to develop their skills to lead a healthy lifestyle both in terms of emotional and physical health. Music calms the mind and brings joy to everyone around. Think back to the days when you are listening to your favorite song and can't help but feel good? Music affects our mood positively and has been linked with enhancing the brain’s ability to process information faster. Learning a new instrument is not easy and requires effort, and this helps build patience and perseverance. Musicians don’t have it easy and have to endure long practice sessions to perfect their art. Even children while learning to play the right note, build patience which helps them later on in life. Music requires hand-eye coordination. A musician is not only playing an instrument but also learning to read the musical notes. Adding breathing and rhythm to the mix takes it to another level of difficulty. However, with time and practice, as musicians learn, they are able to develop their coordination skills, enhancing their ability to effectively manage different tasks at the same time. 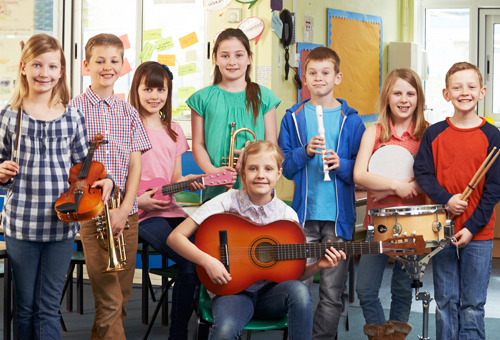 Learning to play a musical instrument from a music school provides an opportunity for children to develop their social skills as they learn to interact and engage with others their age. Later in life, such children find it easier to join a band or orchestra and form long term friendships with people. 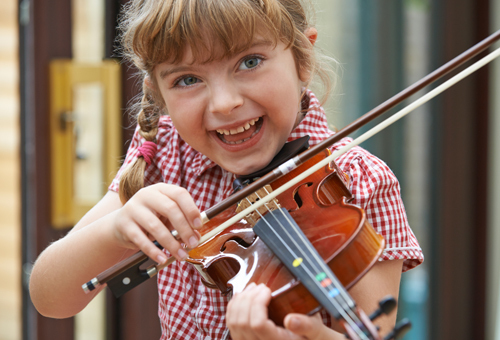 Learning a new instrument instils discipline in children as they learn to manage their school and extracurricular activities together. Moreover, it helps enhance concentration as children learn to identify tempo, rhythm, and quality of sound. You learn to hear the notes and others as well when playing in a group to maintain harmony. It develops team skills helping children to understand their peers and work together later in group assignments. When learning to play an instrument, you have to learn to listen as well. If you're playing a wrong note, you have to know and correct yourself. You can't rectify the fault without having identified it. Music teaches children many different skills critical to their growth and development. The earlier you enrol your child in music lessons, the greater it benefits by enhancing their learning capabilities. Knowing how to play an instrument is a skill that helps enhance quality of life. 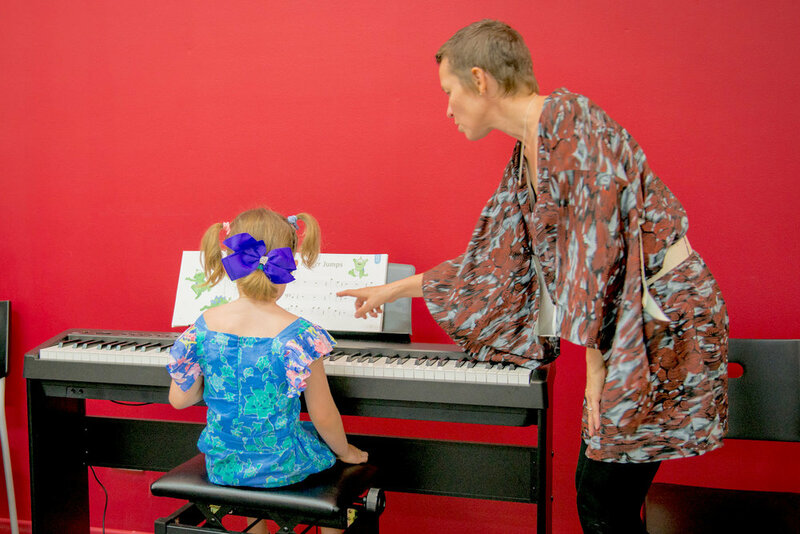 Forte School of Music offers music lessons for children of all ages. 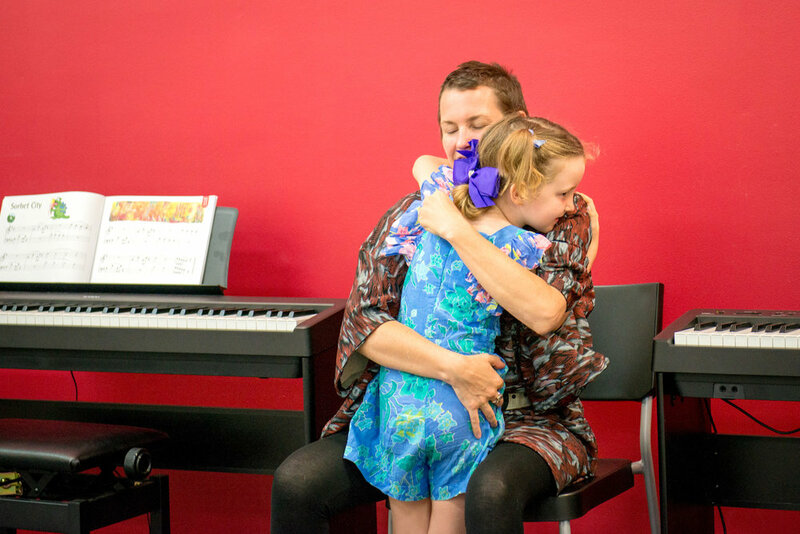 Do Toddlers and Babies really benefit from your music classes? Enrolling infants in music lessons is not only beneficial for their later life but it also helps them in their current stage of development. Research conducted at the Center for Music Learning at University of Texas, Austin revealed that seven-month-old infants could differentiate between timbre and melody. The ideal way to language development is through singing and by exploring words and rhymes following similar tunes; the memory of infants can be enhanced. An infant's brain cells require sensory input to build and connect, as it's not developed at the time of birth. Music acts as an auditory stimulation that helps aid language and other skills as well. Music is not only soothing to the ears but it aids the child in a number of ways, which later in life, help them to cope with the growing nature of demands. With improved cognition, memory, and motor skills, children learn to differentiate and develop enhanced sensory inputs, helping them perform better.